In the Trump administration’s haste to get US troops out of Afghanistan, is it going to leave millions of Afghans– especially women and girls– vulnerable to the tender mercies of the Taliban? After the U.S. invasion in October 2001 ousted the Taliban for harboring the al-Qaeda planners of the 9/11 terrorist attack, the human toll from the Taliban rule is why the United States’ initial assistance efforts focused on people rather than things. I remember taking our first congressional visitor, Joe Biden (D-Del. ), who was then chairman of the Senate Foreign Relations Committee, to visit a girls school that we had helped to open. A first-grade class that Biden visited had students in a range of ages, from 6 to 12. 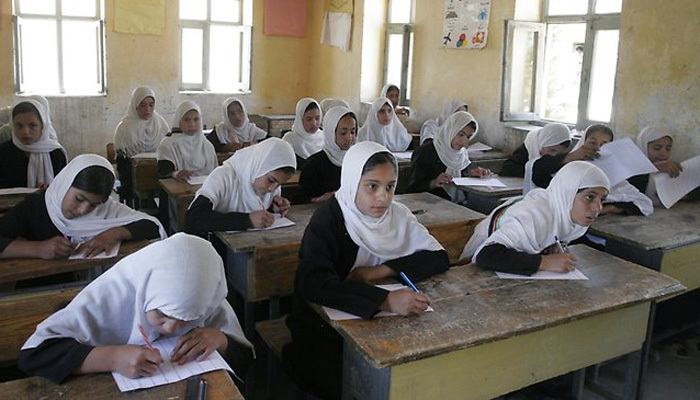 The older girls had reached school age when the Taliban was in power, so they had been denied an education. They weren’t embarrassed now to be in a class with children half their age — they were just happy to be learning. At the end of Taliban rule, roughly 900,000 children were in school, all of them boys. When I left Afghanistan as ambassador in 2012, there were 8 million students, 40 percent of them girls. We also encouraged Afghan women to play their rightful roles in business, in the legislature, elsewhere in government and in the military, and they did. The implicit message was that if you step forward, we’ve got your back. It was a time when American interests and American values were in harmony. I hosted receptions to recognize Afghan women of courage. Through the U.S. Agency for International Development, we funded efforts to establish shelters for women fleeing spousal or other familial abuse — a reminder that in Afghanistan’s male-dominated society, it wasn’t only the Taliban who threatened women’s safety. It now looks as if the Trump administration is negotiating with the Taliban simply for a promise that it won’t harbor any terrorist organizations that could threaten the US. The fate of millions of Afghans who have achieved some degree of freedom since the ouster of the Taliban in 2001 seems not to be a consideration.